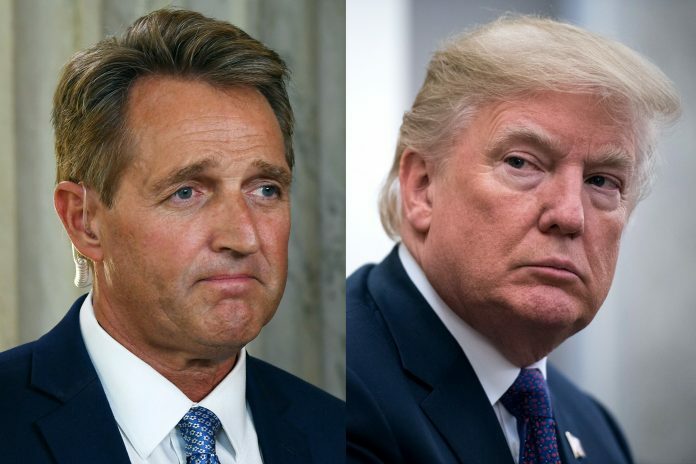 Sen. Flake, R-Ariz., responded to a question from ABC News Chief Anchor George Stephanopoulos on “This Week” Sunday about a report that the White House is weighing a new effort to separate families at the border in hopes of reducing the number of people trying to enter the country illegally. “Is the president making a mistake here?” Stephanopoulos said. Hey, SnowFlakes, why didn’t you criticize Obama and Bush Crime Families who separated families at the border. HYPOCRITE!! It’s not what you do but who does it. HYPOCRITE! Who cares what this Rino has to say? He’s a goner anyway. Webster’s dictionary definition of “flake”: oddball.